Summary for the Busy Executive: Gathered together. A compendium from several Albany discs of American music, most of it in the interwar Americana vein (despite actual dates of composition). I can't say that any of it is well known, except for perhaps Thomson's Symphony on a Hymn Tune or, by implication, Copland's Variations on a Shaker Melody, based on a portion of Appalachian Spring. The mood is predominantly pastoral. Copland's Down a Country Lane is a late work, originally for piano. Believe it or not, Life Magazine published it. Copland later orchestrated the work and from this orchestration a band arrangement (heard here) was made. The wind version is good, but you can still get the full orchestration on Sony, led by the composer. Given that, I'm not sure why you'd want this. On the other hand, for the Variations on a Shaker Melody, Copland, as I've said, takes the "Simple Gifts" section of Appalachian Spring, arranges it for winds, and adds a short intro and coda. Again, if you have umpteen versions of Appalachian Spring already, you may want to give this one a miss. However, Copland's translation from strings to winds, without losing the characteristic color of his full orchestra, interests me. Virgil Thomson's Symphony on a Hymn Tune and his ballet Filling Station more or less showed other American composers how to do Americana. Copland, for one, acknowledged his debt. We get the Allegretto movement, based on the hymns "How firm a foundation" and "Jesus loves me." Thomson trades Sunday-school piety for folk vigor. The performance here is nice and comes coupled with one of the Symphony #2, but I consider the benchmark Howard Hanson's, a more electric reading (Mercury Living Presence 434310) and on the program with Thomson's Feast of Love, Sessions's Black Maskers Suite, and McPhee's Tabuh-Tabuhan – all powerhouse scores. I regard it as a classic of the stereo era. Many Clevelanders (my home town) remember the late William Appling's substantial contributions to the city's cultural life as teacher, choral conductor, and all-around musician. His reputation as an arranger of spirituals and folk hymns stands pretty high, with at least one classic to his credit, "We Shall Walk Through the Valley." His style is both spare and direct, as were the singing styles of his groups. Here, he takes on a group of 19th-century American hymns. The William Appling Singers in live performance sing sturdily, surely in tune, rhythmically together, if a little too bright in tone. I have previously reviewed Morton Gould's Spirituals for Strings, a set of symphonic fantasias on traditional spirituals. He usually sets off two against one another. Like all of Gould's music, it's the work of a fellow not only in charge of his materials, but a master entertainer. Klein and the LPO do well in the excerpts. For me, the great advantage of a potpourri like this program lies in the chance of meeting somebody new or re-meeting an old friend. Don Ray worked in movies and on TV, as well as wrote concert works. I had never consciously come across his name. On the basis of these excerpts, he's somebody I want to know better. 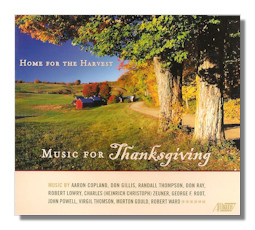 The excerpts from the Homestead Suite owe something to Copland, but they have as well a personality of their own – warmer, more relaxed, but no less finished and shapely. Don Gillis worked as Toscanini's broadcast producer and helped found the Symphony of the Air. He also wrote a ton of "light" music. About the only American light composer that gets much attention these days is Leroy Anderson. Gillis is less a miniaturist, however, and his sense of humor is his own. There's the Symphony 5 1/2, for example, "A Symphony of Fun," and the Symphony X "Big D", the Texas native's tribute to Dallas. We hear two movements: "Requiem for a Hero," a lament for John F. Kennedy, and "Cotton Bowl," which captures the college football fever in this neck of the woods. The performances are all at least decent. If you want to explore any of this music further, Albany thoughtfully provides the catalogue numbers of the discs from which this CD was compiled. Copyright © 2012, Steve Schwartz.